The results are in! After much debate, we’ve finally narrowed down the list to a few of our favorite recipes of 2018. We hope some of them will appear in your home in the new year, but don’t forget to keep an eye out for more mouthwatering dishes coming from our kitchen soon. When evaluating the best weeknight dinner recipe of 2018, it all boiled down to convenience. If you’ve taken a look at the recipe section on our site, you know that we’ve already developed dozens of delicious dinner ideas in the past. Knowing that the flavor is going to be great with any of these recipes, we found that the perfect weeknight dinner was one that was both satisfying and low maintenance. Luckily, this one pan meal can be prepped in less than 15 minutes and on your dinner table shortly after. When it comes to entertaining, you can’t beat a slower cooker recipe. Our cheesy barbeque hot dogs take the win for this category, since they’re packed with flavor and always a hit at any game day gathering or family party. There’s nothing better than a cup of hot soup to warm you up on a cold Rochester day. We didn’t roll out too many soup recipes in 2018, but this healthy and flavorful combination easily takes the cake. There are some recipes that you just have to taste to understand. We weren’t so sure at first about combining our renowned Italian sausage with cream cheese and other ingredients, but boy are we happy we did. The flavor of this recipe is a complete unexpected twist, but that’s part of what makes it so great. When we’re cooking and developing recipes, we always try to keep in mind a variety of dietary needs. While we cleary can’t resist experimenting with savory snacks and meals, we also love the opportunity to create lighter, healthier takes on a classic favorites. Our Chicken Sausage Garbage Plates do just that and are the perfect substitution if you’re looking to eat clean without sacrificing flavor. We of course couldn’t write this post without including our favorite hot dog of the year. Our Pineapple Teriyaki Hot Dogs are the clear winners this year, comprising the perfect combination of both savory and sweet. 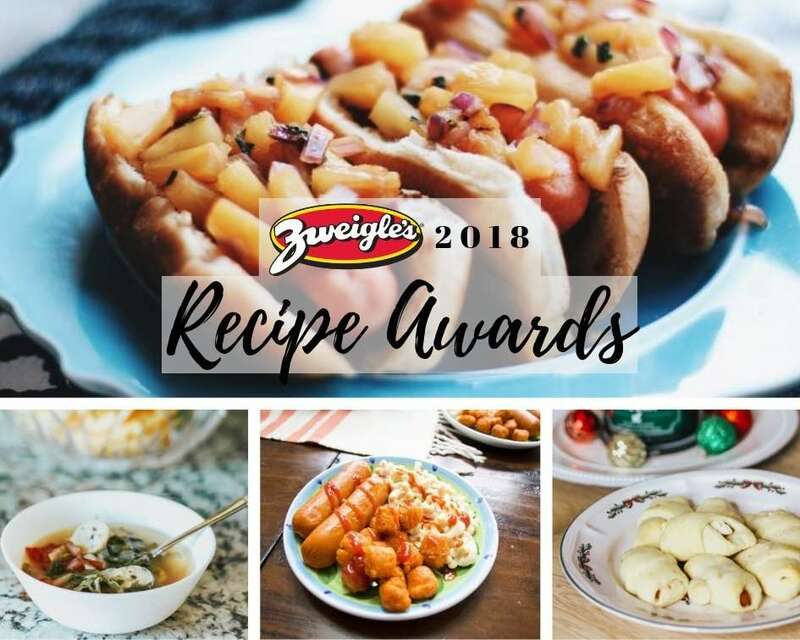 What’s your favorite way to eat Zweigle’s?